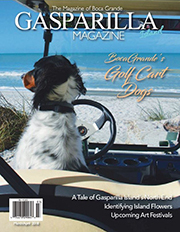 Before the fishing and fun began at the Gasparilla Island Kids Classic last Saturday afternoon, a symposium was held at the Boca Grande Community Center on Friday evening to educate participants about the history of tarpon fishing in Boca Grande. Dr. Aaron Adams with Bonefish & Tarpon Trust gave a presentation about the science of tarpon and why they seem to love our island waters. 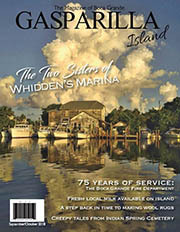 “In the past 10 years, we’ve learned a lot about tarpon, but there’s still a lot more to learn,” Adams said. He said it is especially important now to understand the impacts of our water management system, which has definitely been impacting our fisheries. 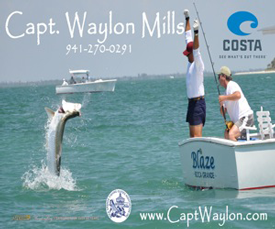 Tarpon can live up to 80 years, and do not start reproducing until they are about 10 years old. Dr. Adams spoke about the issues that have been occurring with the natural runoff of Lake Okeechobee, and what happens to our estuaries when that water mixes in with the harbor and Gulf. Bonefish & Tarpon Trust staff collect tiny larvae that is only one day old from Boca Grande Pass, proving they come here to spawn, and as far out as 120 miles out into the Gulf of Mexico. When there is a full moon, many of the tarpon head off shore. Tarpon broadcast spawn, as opposed to building a nest. The fish get together in large groups, eject the eggs into open water, and the fertilization is done externally. The eggs hatch after about 24 hours. When they are in the open ocean, the babies are perfectly clear so they naturally are protected from predators. After Adams was finished, Capt. 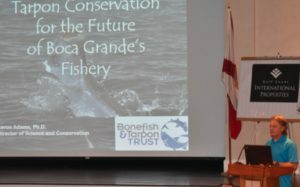 Nat Italiano and multi-generational islander Betsy Joiner took the stage and discussed the history of Boca Grande tarpon fishing. 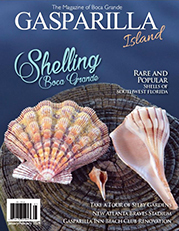 Joiner said when she was growing up, there was an abundance of shellfish like scallops and clams, which brought people to the area. 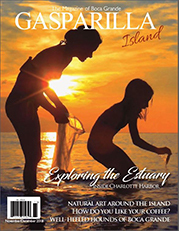 Then the island became known as the world’s greatest place for tarpon fishing. Capt. 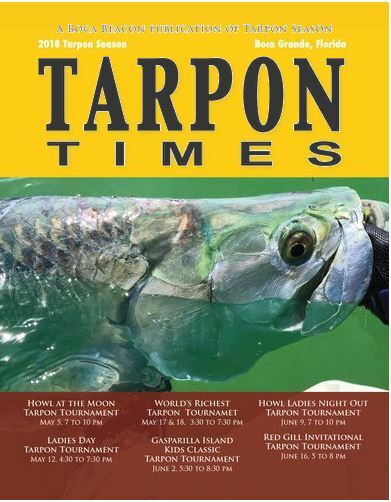 Nat Italiano said tarpon tournaments are not easy to run. 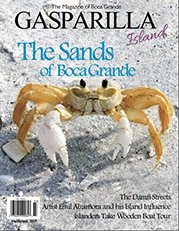 In 1988, the wives of many of the captains teamed up to create their own day of fishing on Mother’s Day weekend. 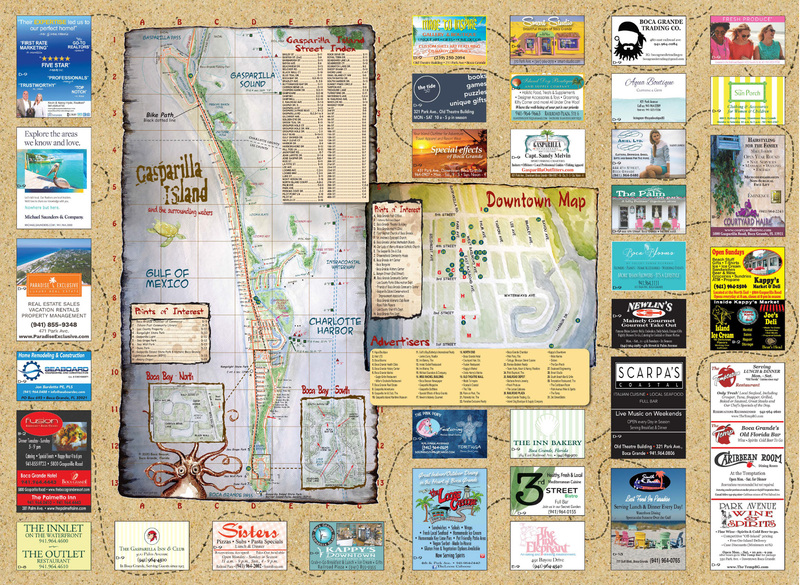 The next year, seven boats participated and that’s how the Ladies Day Tarpon Tournaments began. 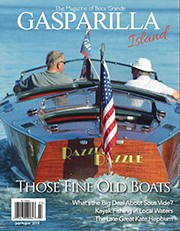 In 1991, the all-release tournament grew to 50 boats and stayed that way for a number of years. Capt. 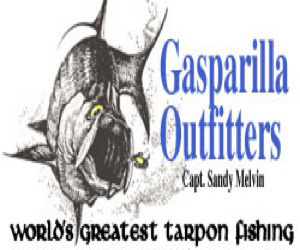 Sandy Melvin of Gasparilla Outfitters organized the first of its kind symposium. A tradition south Florida mullet fry, complete with all the fixings, followed the presentation. 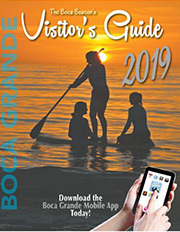 The event was free to all, but donations for the Boca Grande Historical Society were welcome. 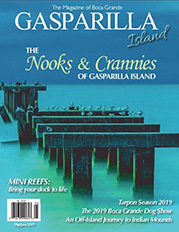 Melvin said in the past seven years the young anglers, ranging in age from about six to age 15, have caught and released 112 tarpon, with an average release time of nine minutes. See next week’s Beacon for a story including more information about the effects of natural water runoff from Lake Okeechobee.